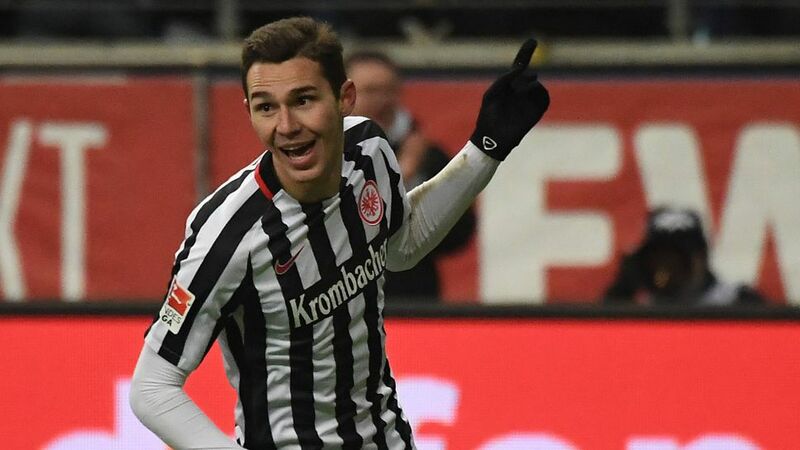 Branimir Hrgota scored twice for Eintracht Frankfurt to help the Eagles to victory over 1. FSV Mainz 05. Branimir Hrgota was inspirational in Eintracht Frankfurt finishing 2016 on a high note on home turf, scoring twice in a 3-0 triumph over 1. FSV Mainz 05 on Tuesday evening. Hrgota collected 18 Official Fantasy Bundesliga points on Matchday 16. Snap him up here! Frankfurt slipped to a disappointing 1-0 defeat in Wolfsburg on Matchday 15 - the Eagles' first reverse since the start of October - but showed the right response with an impressive display against Mainz. Hrgota was key to the victory, scoring a superb opening goal, setting up team-mate Aymane Barkok for the second, and tapping home a third late on. It was a true match-winning performance from the Swede, and one that would make him a worthy recipient of this week's BLMVP crown. Vote Branimir Hrgota for #BLMVP on our Twitter channel now! Hrgota scored two in one game for the first time since 11 May 2013 when he hit a hat-trick for Gladbach… against Mainz.The 23-year-old also had a hand in his side's other goal, providing the assist for Aymane Barkok.The striker made more sprints (29) than any of his team-mates. Head to the Frankfurt vs Mainz Match Centre for more on this fixture.